Emily started dancing from the moment she could walk and has been passionate about movement ever since. From an early age she was enrolled in a variety of dance classes ranging from Modern, Jazz to Ballet as well as choreographing dance routines for fun in her spare time. When Emily found Yoga in 1999 it felt very familiar and she had an immediate connection. It not only felt amazing on a physical level; she had a life altering experience that changed the trajectory of her life from that day forward. Emily began her yoga career teaching in the Chicago area in 2001 after her first teacher training with Ana Forrest. She was drawn to the healing aspects of Forest Yoga but was more attracted to Vinyasa Flow at that time which she has taught for most of her career. She has taken classes, workshops and trainings from a variety of teachers all over the world ranging from Manju Jois to Noah Maze to Kino MacGregor as well as many others amazing souls. In 2005 Emily opened her own yoga studio which has since closed. In 2007 she took a Vinyasa Yoga based Teacher Training at the well known Yogaview in Chicago. Over the years she has taught in gyms, yoga studios and corporate settings. The last few years Emily has mainly been teaching to Corporate and Private clients. Her style today ranges from Vinyasa Flow, Hatha, Yin and Restorative teachings. Her passion has always been healing. From the very first moment she stepped onto a yoga mat Emily knew that this was a tool to help her on her own journey of self help and self care. 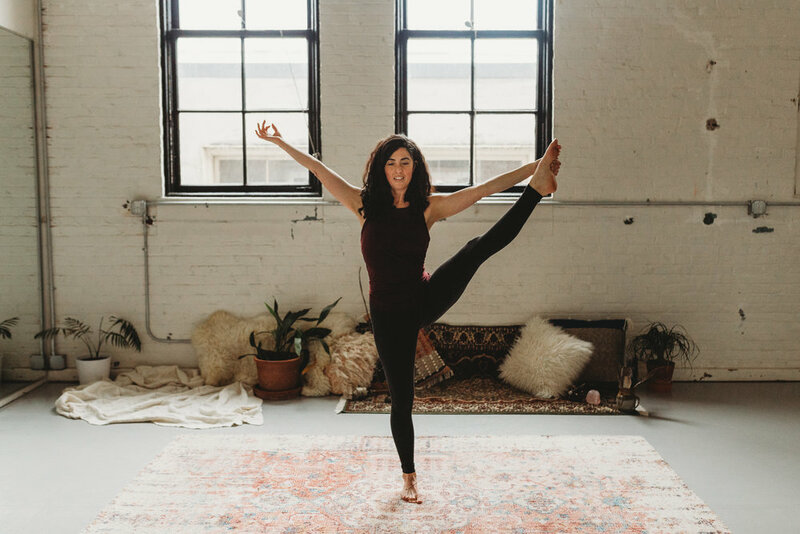 Her approach is less about sticking to a particular “style” of yoga and more to using the different modalities as a way to heal herself and the people she works with.